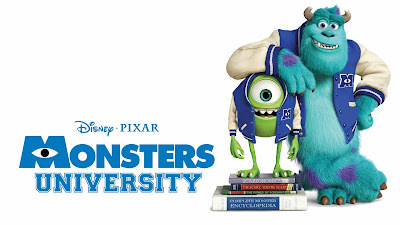 wants to join Monsters university which is one of the esteemed ones in their town. Again the same humiliation comes in his way as he wouldn't be looking like a scary monster. He challenges the dean that he would become the scariest of all in the university. He teams up with another 5 of his type and participates in the competition held in the college and story turns around how he became successful. Review: The good thing about the animation movies is we can show whatever comes into our imagination which takes to their own worlds. The main lead shown as a good team leader always cherishes his team members with his knowledge knowledge to make the it successful. The cartoons are perfect. Entertainment quotient was little less compared to other parts. Emotions are properly highlighted. + Points : Storyline,main lead. This is a prequel of Monster Inc. This is 17th movie from Pixar studios. Bottom Line: Evil turns good. Suggestion : Must watch(Not for entertainment).